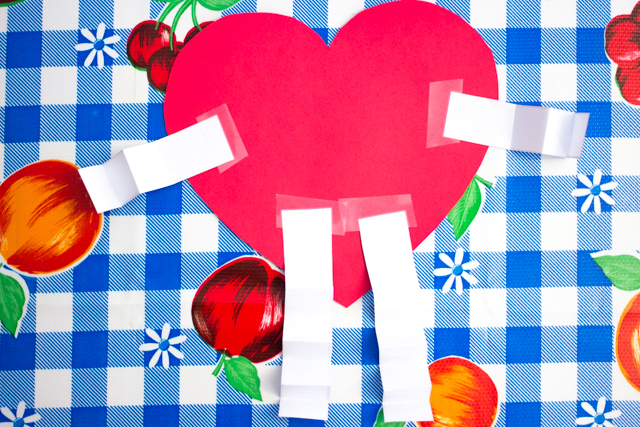 Let's Make this Cute Valentine's Craft! 3. 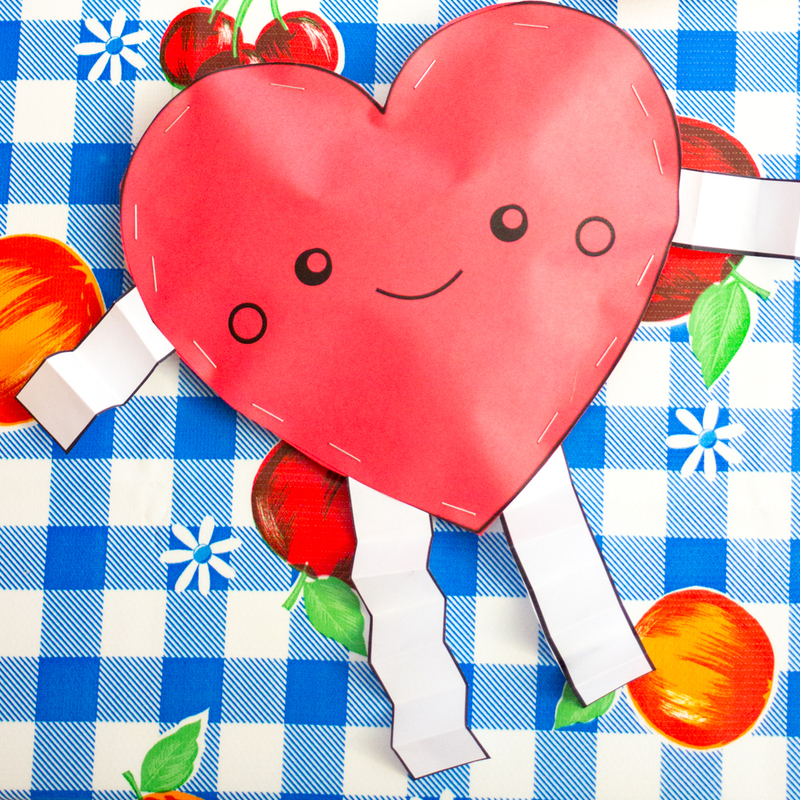 Then, if you want arms and legs, cut out those pieces as well too. Accordion fold them to give them a little pizazz! And tape them onto the back of your face piece. 6. Then, staple the stuffy shut and you're all set! 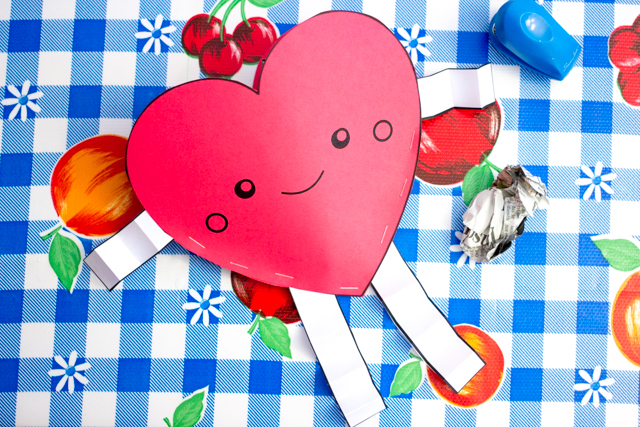 Want more uber cute and sweet Valentine's Day Crafts? 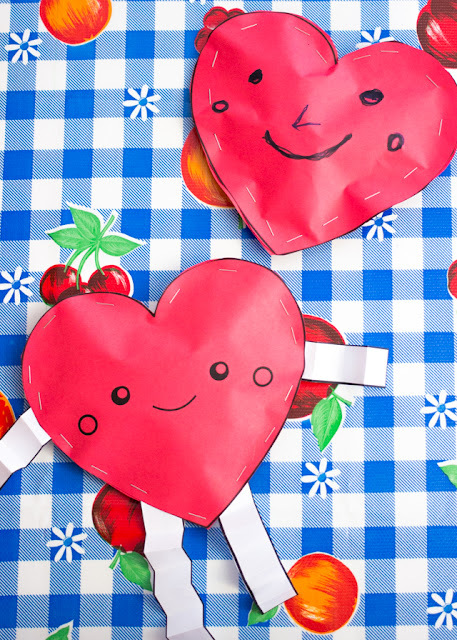 Hope you have fun making these with the kiddos! 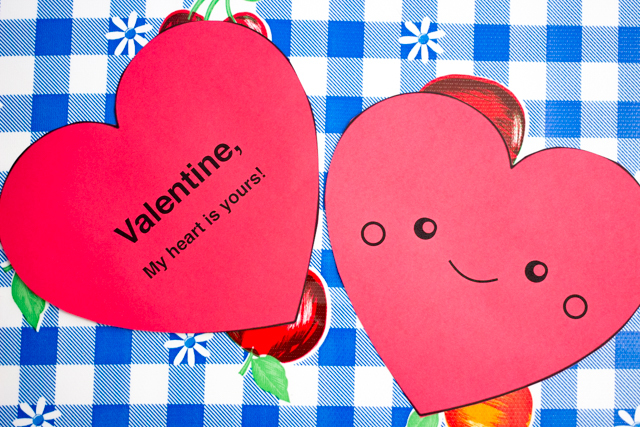 We just made red ones... but I'm thinking it would be really neat to make them all different colors like conversation hearts. Wouldn't that be cute? You'd just need to print the templates onto a pack of pastel paper!